2.Nikolay Nikolaevich Lazarev – deputy managing editor, Dr. Agr. Sc. 3.Gennadiy Nikolaevich Bychkov – chairman editorial team, PhD Agr. Sc. 4.German Vikentevich Blagoveshchenskiy – Dr. Agr. Sc. 6.Nikita Nikolaevich Zezin – Dr. Agr. Sc. 7.Andrey Yurevich Izmaylov – Dr. Techn. Sc., Member of Russian Academy of Sciences. 8.Nikolay Ivanovich Kashevarov – Dr. Agr. Sc., Member of Russian Academy of Sciences. 9.Ivan Mikhaylovich Kulikov – Dr. Econ. Sc., Member of Russian Academy of Sciences. 10.Anelya Aleksandrovna Kutuzova – Dr. Agr. 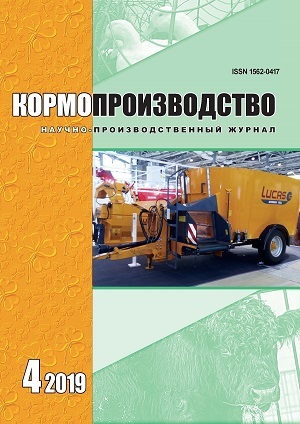 Sc..
11.Vyacheslav Mikhaylovich Lukomets – Dr. Agr. Sc., Member of Russian Academy of Sciences. 12.Ivan Vasilevich Savchenko – Dr. Biol. Sc., Member of Russian Academy of Sciences. 13.Ilya Aleksandrovich Trofimov – Dr. Geogr. Sc..
14.Evgeniy Aleksandrovich Tyapugin – Dr. Agr. Sc., Member of Russian Academy of Sciences. 15.Zebri Shamsutdinovich Shamsutdinov – Dr. Biol. Sc., Corresponding Member of Russian Academy of Sciences. 16.Anatoliy Sviridovich Shpakov– Dr. Agr. Sc., Corresponding Member of Russian Academy of Sciences.